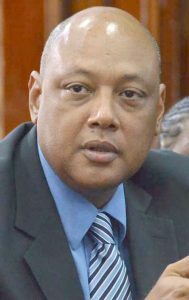 Moments after being criticised by the main Parliamentary Opposition’s Leader, Bharrat Jagdeo, the Minister of Natural Resources and the Environment, Raphael Trotman, fired back. He described Jagdeo’s comments as nothing but “trash”. Earlier yesterday during a Press Conference hosted by the People’s Progressive Party/Civic (PPP/C) at the party’s Headquarters in Robb Street Georgetown, Jagdeo heavily criticized the move made by Trotman to review the 1999 Exxon Mobil contract. The Opposition Leader told media operatives that the review of the contract will create a passage for corruption to enter into the Ministry. He claims that there is poor management of the Ministry by a “mediocre” and “incompetent “Trotman. Last evening Minister Trotman dismissed Jagdeo’s claims and said that the Government has a right to review any contract signed by the PPP Government and what Jagdeo is saying is nothing but trash. “The government has a right to review any contract that the PPP has signed. We have that right to do so and I think what they are worried about is when we start reviewing contracts, they will be embarrassed. So that is a right that we have as government,” Trotman said. 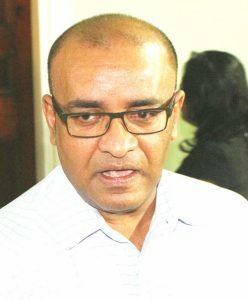 Jagdeo also stated that it always raises concern when Ministers or politicians involve themselves in negotiations with companies, particularly oil companies.Such engagements he added, lead to politicians selling out national interest. He called on the Minister to explain the reason for the review and state whether more concessions will be given. Jagdeo explained that the oil and gas sector will be an important sector and the State should get the best agreement possible. Trotman dismissed the Opposition Leader. He said that he would never expect to hear anything better from Jagdeo. “Jagdeo being a Former President and “attacking” a ministry is an indication that the “ministry is hurting him”. Trotman also stated that Jagdeo may be “upset” because the Norwegians ignored his request to cut off the Norway funds from Guyana. He indicated that Norway has in fact, decided to continue. “So he cannot point to any sector; any component of the Natural Resources saying that it is in trouble. He can say what he wants; we are well advised; we have international experts advising us but we will exercise our rights as a sovereign state and as a government. He is no longer President. He is the leader of the opposition and he has to remember who he is. So let him earn his salary there,” Trotman said. The Minister concluded if Jagdeo is serious about debating this issue in Parliament, he is most welcome to “any day”. Jagdeo was selling out Guyana from the back door. Jagdeo is understandably worried. He knows that any review of contracts signed by the PPP would reveal the rampant corruption embedded in those agreements.